You are currently browsing the tag archive for the ‘flowers’ tag. For Nancy, in particular. The flowers are doing great! The Portulaca have sailed beautifully through this Phoenix summer, which has been brutal. Triple digit temperatures for all of July and so far in August, including plenty of humidity (so you can throw that “it’s a dry heat” saying in the trash – it’s bunk during monsoon season). My beloved Portulaca flowers have been shining stars all along. They are in containers at work that I water every other day. Unceremoniously, I might add, haha, with water in a bucket because the hose doesn’t reach. The new Lemon Twist Portulaca have also done well, although the stripes aren’t quite as distinct as they were. Hi candy hearts, and happy Tuesday! Have you started thinking about Valentine’s Day gifts for your sweetie? How about for your kids? Flowering Hyacinth bulbs make great gifts for kids for Valentine’s Day. Why? 1. You can buy bulbs at 50 – 75% off normal prices (because it’s January) from your local nursery. 3. They’re easy to grow. Bulbs grow in water, so kids simply have to add water every few days to keep the water line at the bottom of the bulb. 4. Hyacinths are wonderfully fragrant. It’s a special reward for the “work” of growing them. 5. 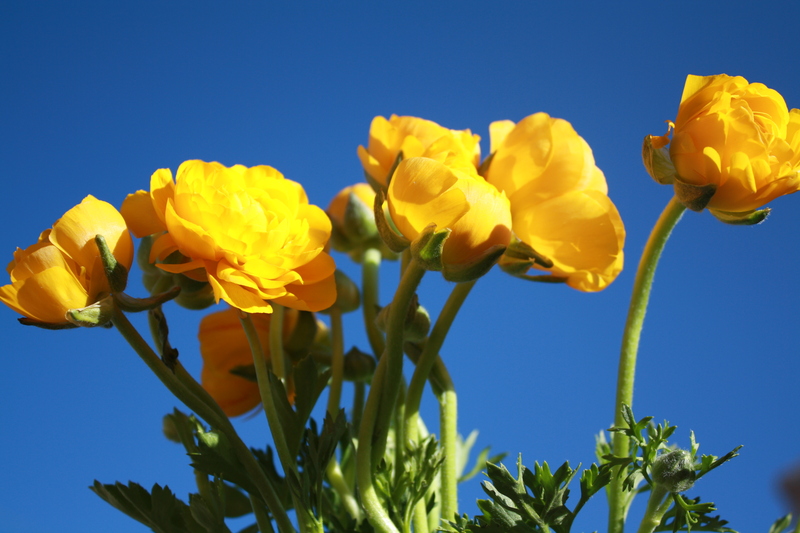 Flowering bulbs can help instill a lifelong love of Nature in your kids. Once I put them in water, it took only one day for them to begin sending out roots. So bulbs can be an easy last-minute gift, too. 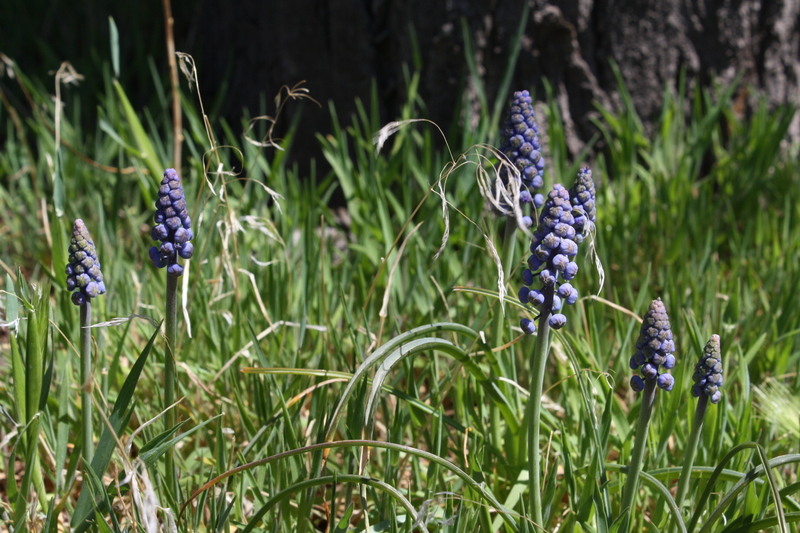 And for kids of all ages, Hyacinth bulbs make great gifts for February and March birthdays and anniversaries. If you decide to use Hyacinth bulbs as gifts this year, I’d love to hear about it. I’ll be back manana with a new edition of The Plant Lady Chronicles², hope to see you here. ¹ Hopefully they’ll be blooming by then. It’s hard to predict – some bulbs are enthusiastic growers, some are slower. It also depends on how much light they are getting (the more the better). But does it matter if they’re not blooming exactly on Valentine’s Day? I don’t think so. It’s the thought that counts, not the date. Whenever you have fresh flowers indoors, especially when it’s snowy and dreary outdoors, life’s good. ² Fair warning to the faint-hearted – there’s a reference to poop in tomorrow’s post. Not human poop, but poop nonetheless. You’re welcome. No more sad faces, k? Ok! Hi pretzels, and happy Wednesday! How do you come and go from your house? The front door? The back door? One of my clients goes in and out through his garage. I thought, maybe that’s because his front door isn’t inviting enough. 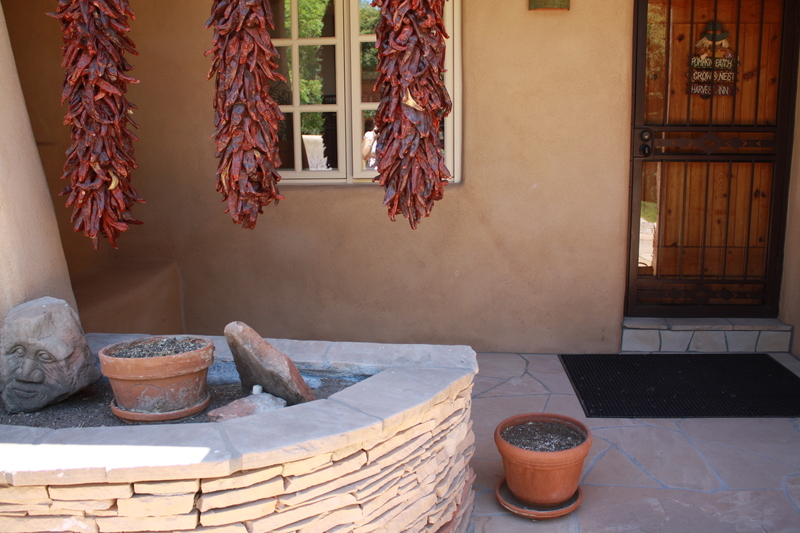 Sure, he has great chile ristras, but it’s just, you can see, boring. So I spruced it up with flowers. I don’t know if he changed his habits and now comes and goes through the front door, but I like knowing that if he does, he might smile at the flowers. Because flowers make everything better. Right? Right. 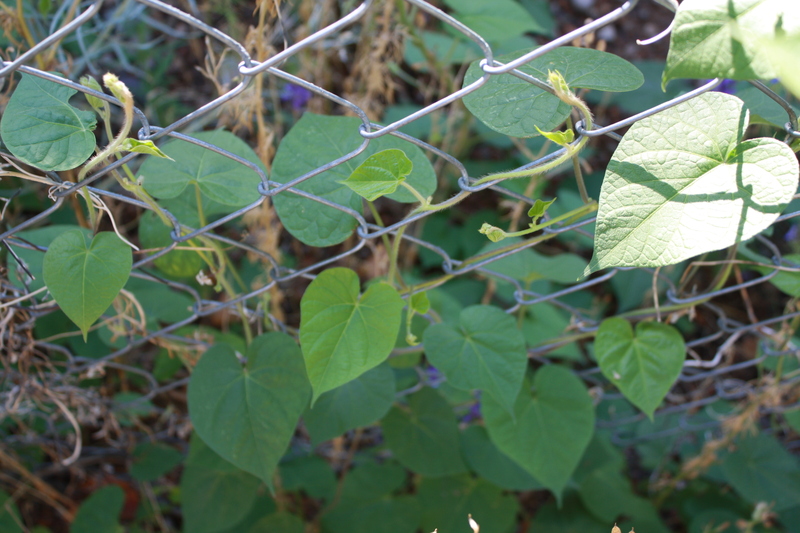 Hello Morning Glories, and happy Tuesday. I said yesterday that I was considering switching my posting schedule to Tuesday through Saturday. 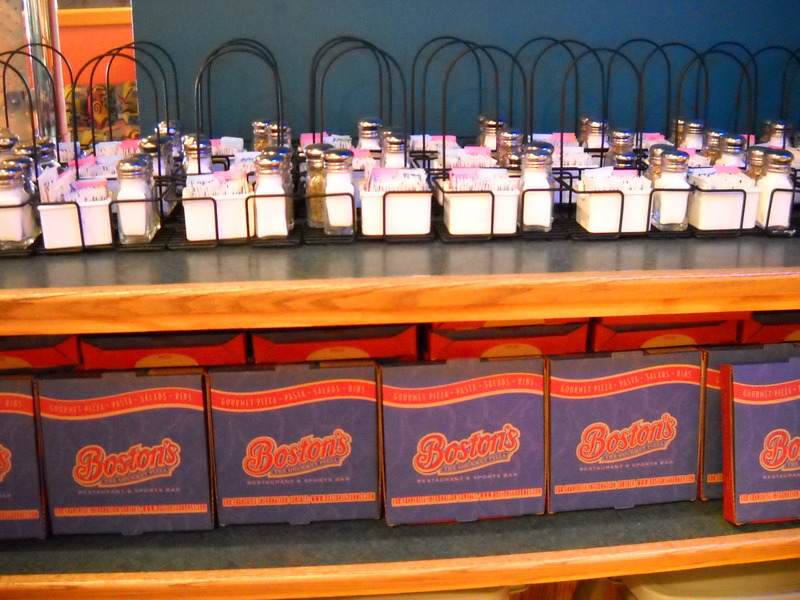 So you’d think, as today is Tuesday, that I’d have something prepared. Sigh. You’d think. One commenter suggested doing posts in advance. Hahahahahaha, that’s funny. Nah, seriously, that’s always the goal. For example, this afternoon I have time mapped out to work on tomorrow’s post, and tomorrow I’ll work on Thursday’s and Friday’s. But real life gets in the way of those goals. I think that’s why whenever I talk about my own personal deadlines, it resonates with other bloggers and the overwhelming response is, “Do what you need to do, when you feel like it.” Which is sweet. Of course they’re (you) sweet – they’re gardeners. They’re sweet and polite. They probably wouldn’t have complained if I’d rolled out with my story about how I got lost this morning in the South Valley. Well, not lost exactly, but I definitely drove around for a long time in unfamiliar territory. It’s not a very interesting story, but if I’d told it, I’m sure they would’ve found the good in it. That’s why I love them, you, my readers. Anyway, thank you. I’m gonna go work on a new Plant Lady Chronicles now, I’ll be back manana. Until then, happy gardening! Oh, and p.s., the monsoonish season is here! Yay for rain in the desert. Incidentally, Albuquerque is the only place I’ve ever lived where I’ve seen people clap when it begins to rain. Pretty funny. People love weather talk, right? 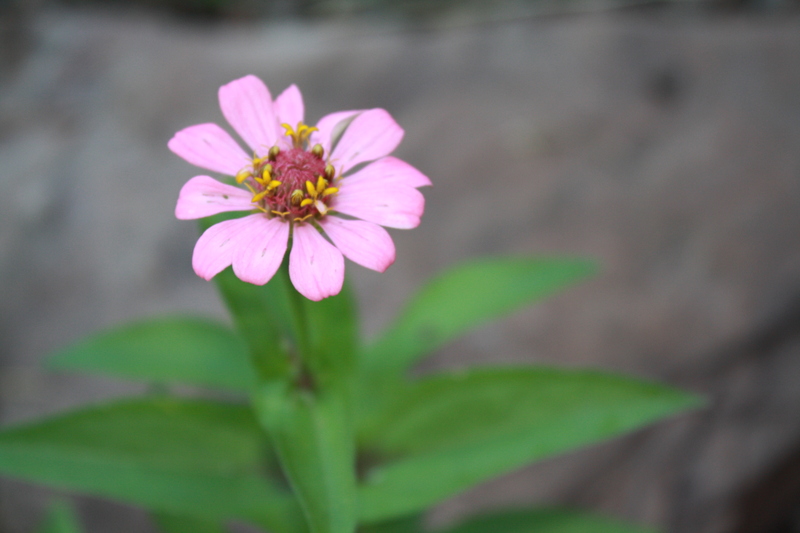 Sometimes, you just need a pretty flower in your day. Even if that day is evening. Right, asparagus stalks? Yeah, you answer. I’ll be back manana with a tale of a man and his dog. Not a good man nor a good dog, but a great, good, ok, tale nevertheless. 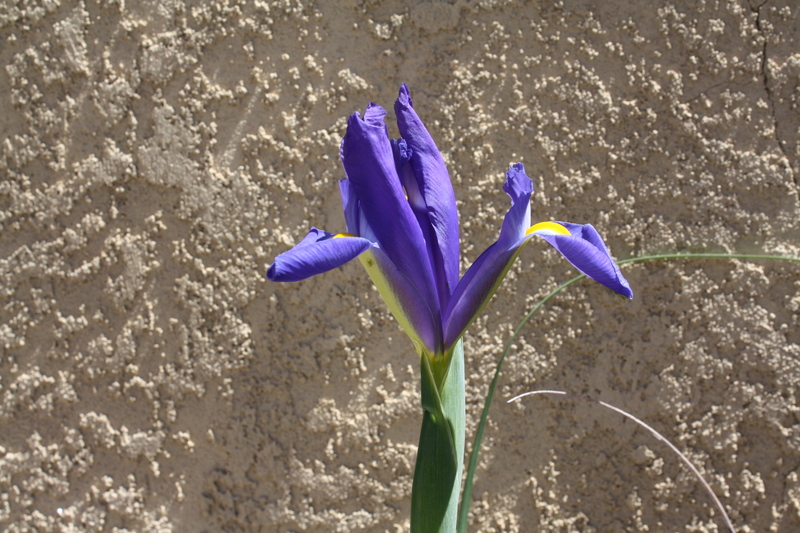 Hello my Iris blossoms, and happy Thursday. 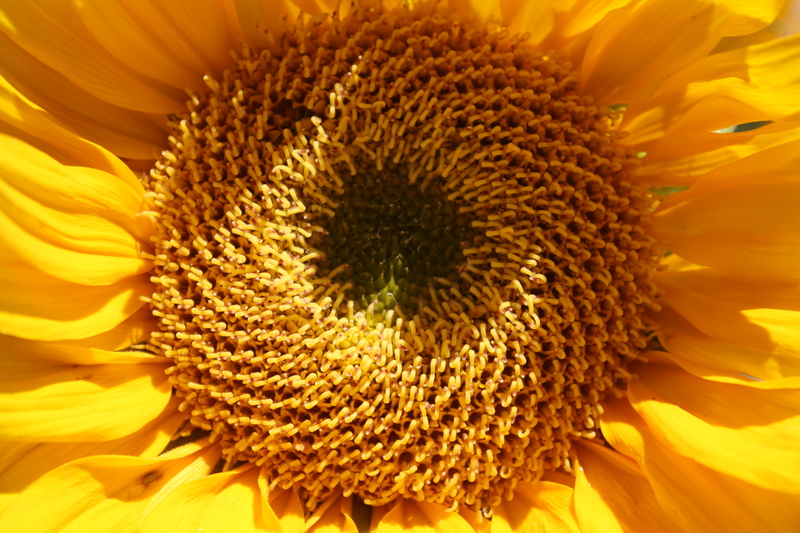 Welcome to Garden Bloggers’ Bloom Day, as started by Carol over at May Dreams Gardens. Today is all about pretty photos. 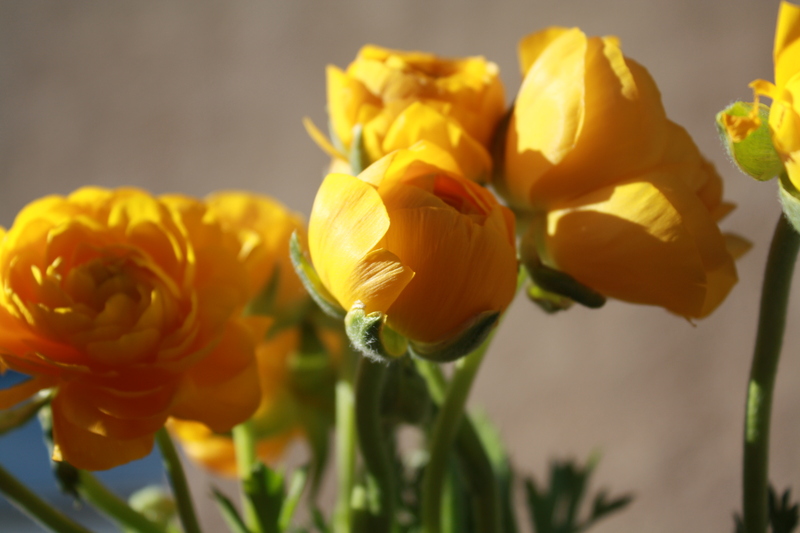 Garden photos, photos of fresh flower bouquets, flowers in different light and with different backgrounds. 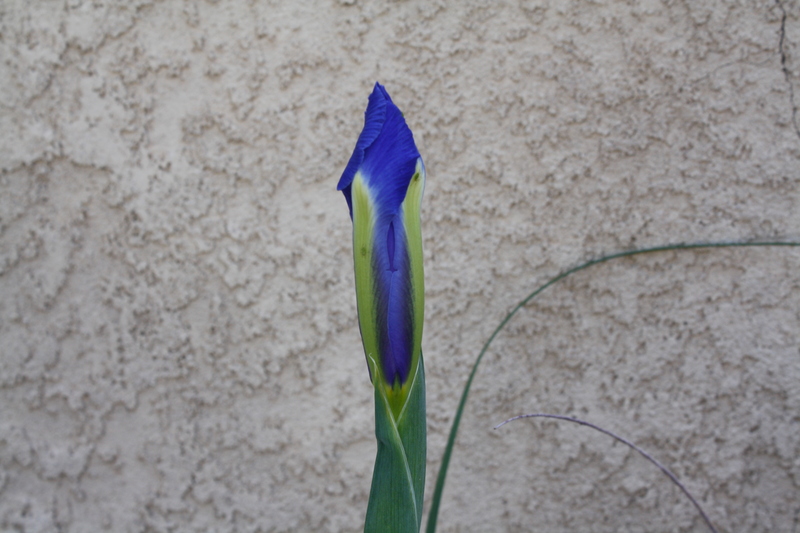 The same Iris, a few hours later. I really love playing with the light, and seeing how it affects the photos. Different backgrounds make such a difference. 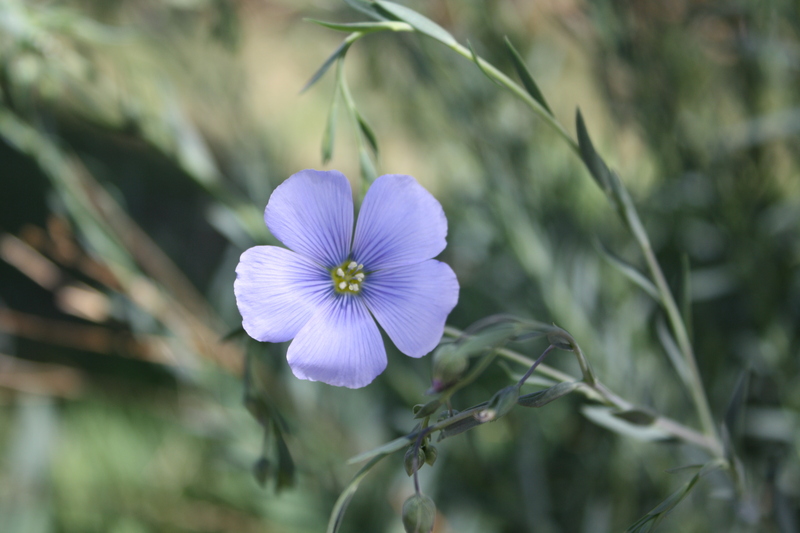 Blue Flax in the morning light. What’s wrong with this plant? You still have time to leaves your best guess in the comments section. There are no prizes for winning – duh – but the winner gets glory, bragging rights, and my gratitude for playing. I hope to see you back here tomorrow. Until then, happy gardening everyone! 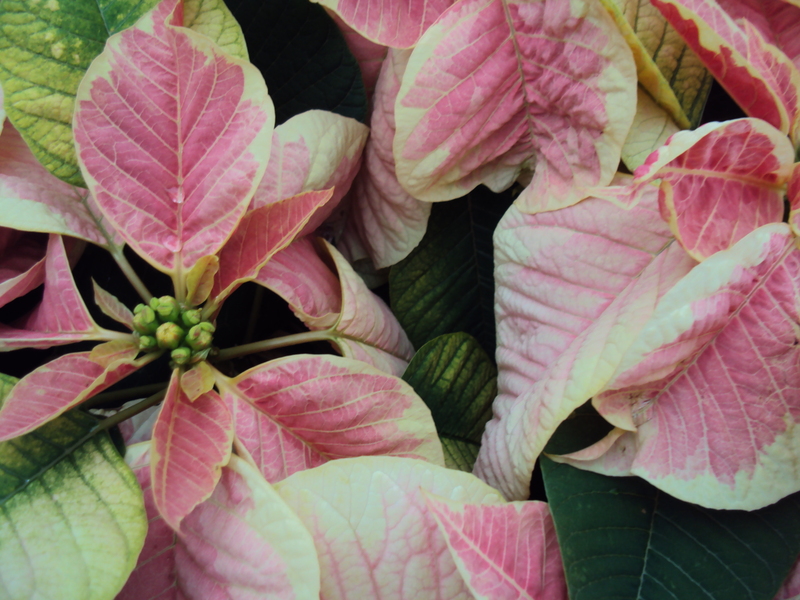 [Tuesday – Flowers and Flowering Plants] More Holiday Flowering Plants! Happy Tuesday everyone! It’s December, do you have the holiday spirit or what? It’s cold and snowy in Albuquerque – it’s got me in the mood! I am new to the blog world, and I’ve been trying to read as many as possible, and comment when I really enjoy a post. I understand the time involved, the discipline and the commitment. I think it’s an amazing community. Sometimes I wonder if my posts are boring. I think to a lot of people would think a post about how to repot a Norfolk Island Pine is boring. Do you? I read some of these other bloggers and I can’t help but feel a teeny bit (ok a LOT) inferior. After all, they’ve been doing it longer, and they’re really good at it. Take Mr. Subjunctive, for example, over at Plants Are the Strangest People, he is so darn knowledgeable. I love his perspective, and plus, he’s building databases of plants based on color. Seriously. He’s letting you search for purple plants. Do I even have to elaborate on how cool that is? And then there’s James over at jamesandthegiantcorn.com. He’s this good Midwestern boy who presents science in an easy-to-understand manner. Believe me, I am not science girl or math girl, so I didn’t think I’d get much from his site, but he surprises me all the time. Martha at Water Roots always makes me smile! And that’s not just because she’s Canadian! Then there’s my sister Molly over at Charlotte’s Fancy. I love her site, and she’s taught me so much in a short amount of time. One piece of advice she gave me was to come up with categories for different days of the week, hence the Plant Lady Chronicles on Wednesdays and the Plants 101 on Thursdays. 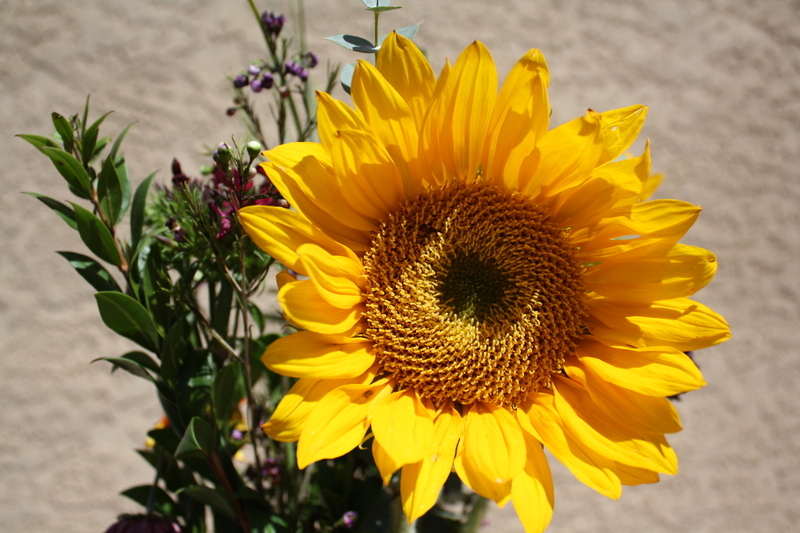 It was great advice, but I’ve been struggling with Tuesdays – Flowers and Flowering Plants. 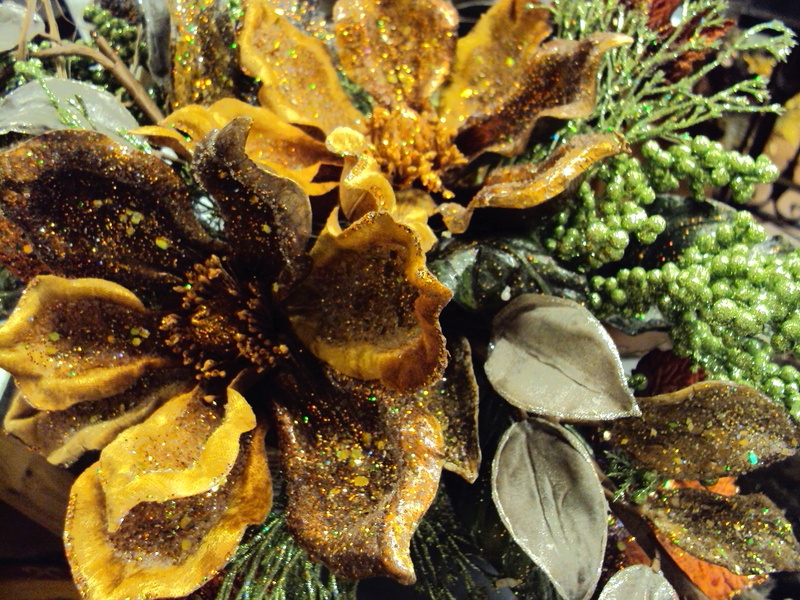 It’s December 8th, what new can I tell you about flowers and flowering plants? I decided to revisit the mom-n-pop nursery that grows the best Poinsettias in town, and go to another flower shop to check out their goods. 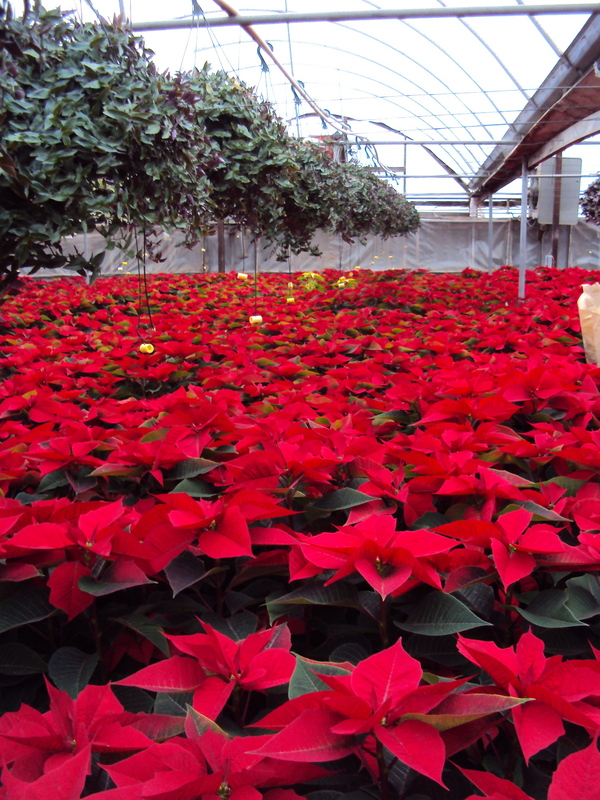 The last time I wrote about the nursery, the Poinsettias were just getting going. This time, they’re gorgeous. 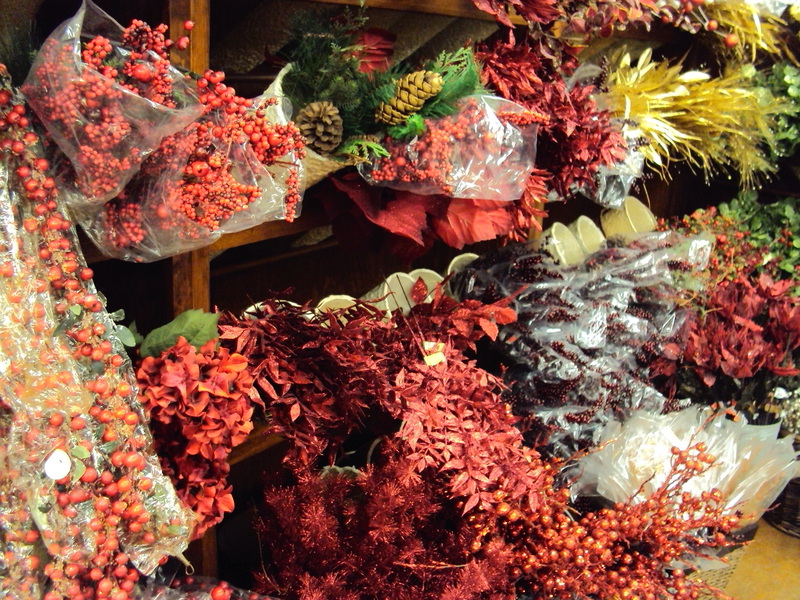 As you might remember from the last post, I’m not a big fan of Poinsettias. But even I have to admit, seeing them like this at the nursery, they’re really beautiful. My little mom-n-pop nursery is staking a lot on this holiday season, so if you’re in Albuquerque and you want me to pick up a few of these for you, let me know. 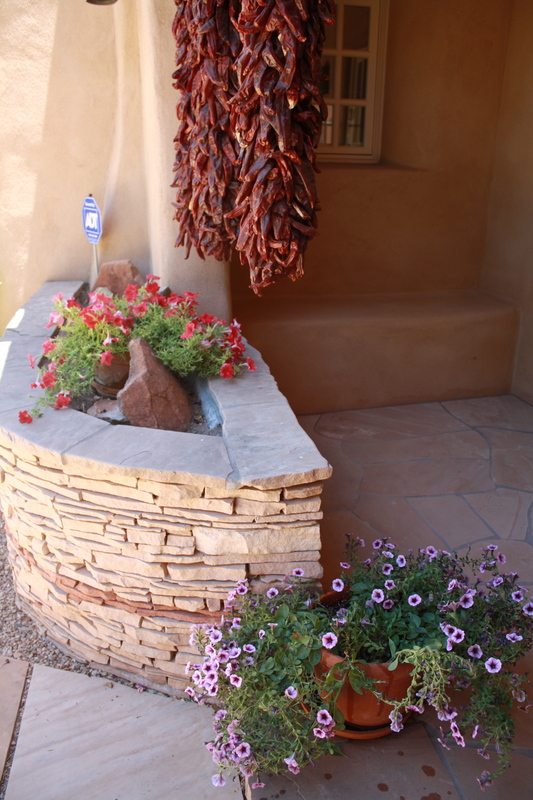 I wish I could wave a magic wand over Albuquerque and create a mad passion for indoor plants, fueling prosperity and cleaner air. 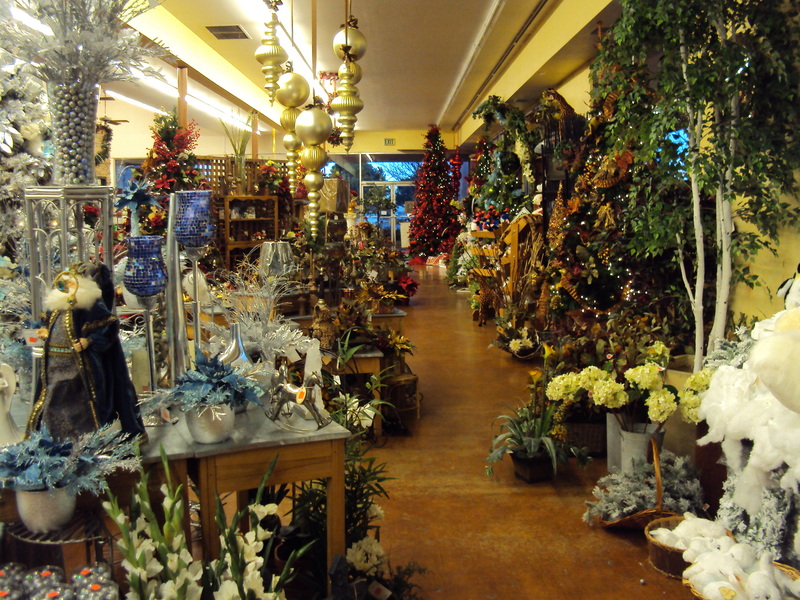 Since I can’t, let’s take a peek at another flower shop in Albuquerque. 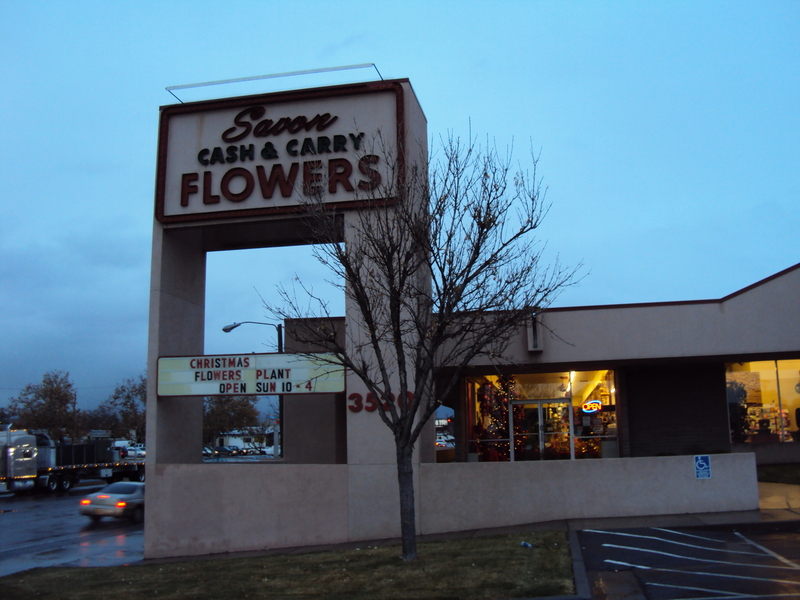 Savon Cash and Carry Flowers, on Candelaria near Carlisle. Have you been here? It’s so weird, I always think it’s a thrift store, not a flower shop. What’s with cash and carry in the name? I’ve only been here once or twice. I decided to go and see what they offered for the holidays. Oh crap, that is a lot of glitter! U-G-L-Y, you ain’t got no alibi. Not all of their stuff was ugly however. I like how they started all those Amaryllis bulbs instead of selling them in a box. 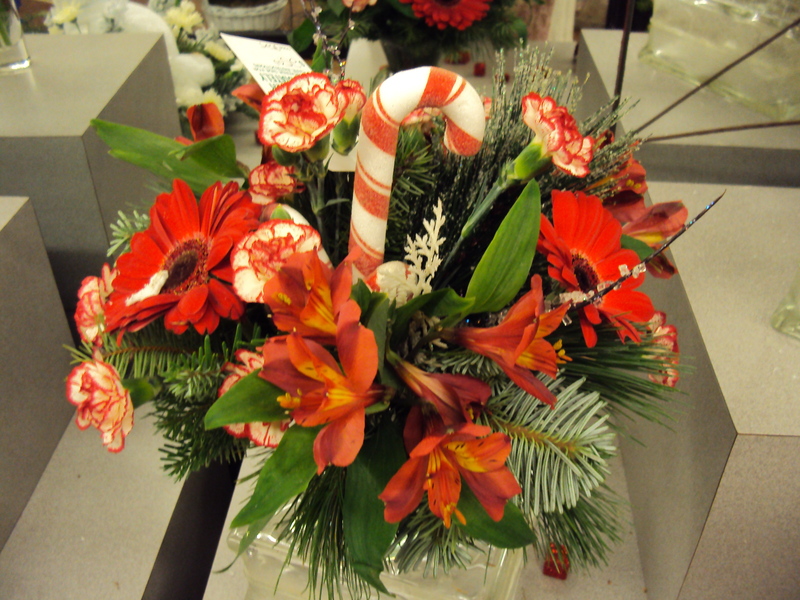 They had some moderately cute holiday bouquets with fresh flowers. And lots of fake stuff. 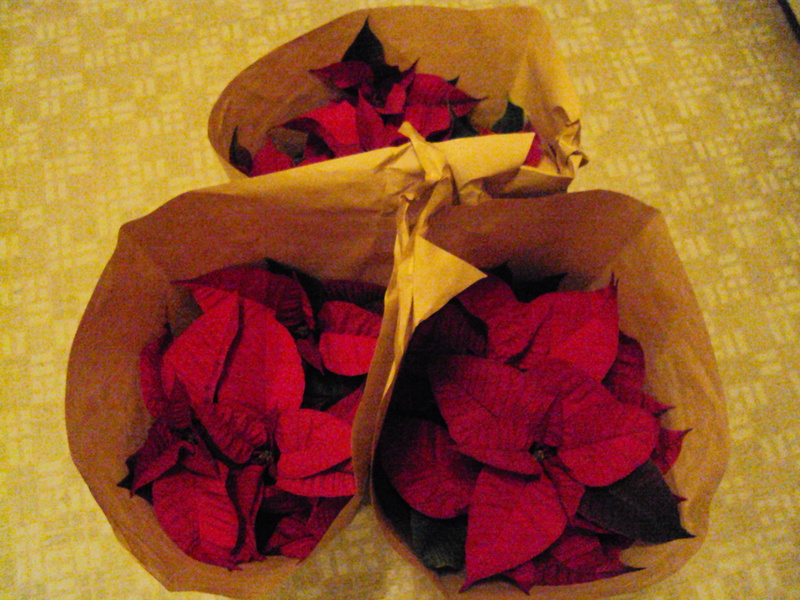 I didn’t buy anything, but I did decide my house needed a few Poinsettias from Corrales Road Greenhouse. I’ve been spending a lot of time trying to think up future posts for Tuesdays. If you have any ideas, I would welcome them. 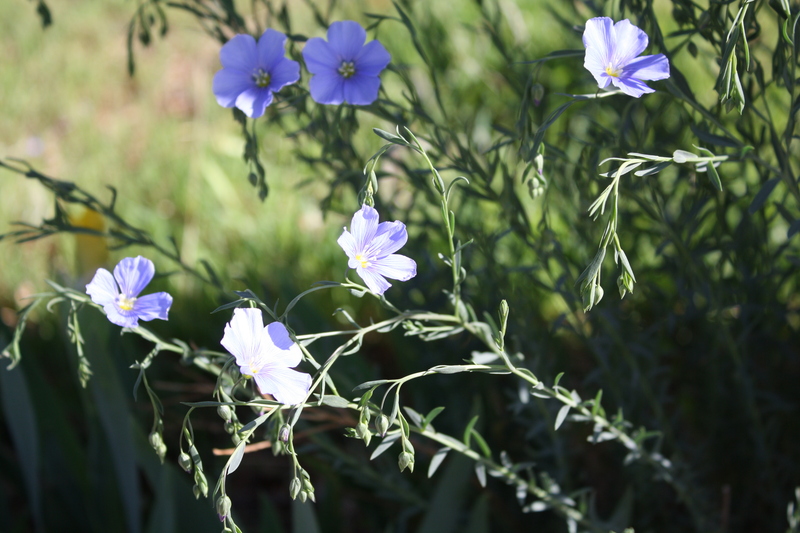 One idea I know I’m going to do is feature interviews with people who have plants flowering now, in winter. A friend of mine said his Mom’s African Violets are blooming like crazy right now, so I want to go interview her for her secrets of success. Stay tuned, and happy indoor gardening. One interesting thing about visiting my plant accounts once a week is that I never really know what happens when I’m not there. Sometimes I come in and find trash in the pots (drives me crazy!). Sometimes there are branches broken off and I have no idea who did it or why. Other times, plants have simply vanished. 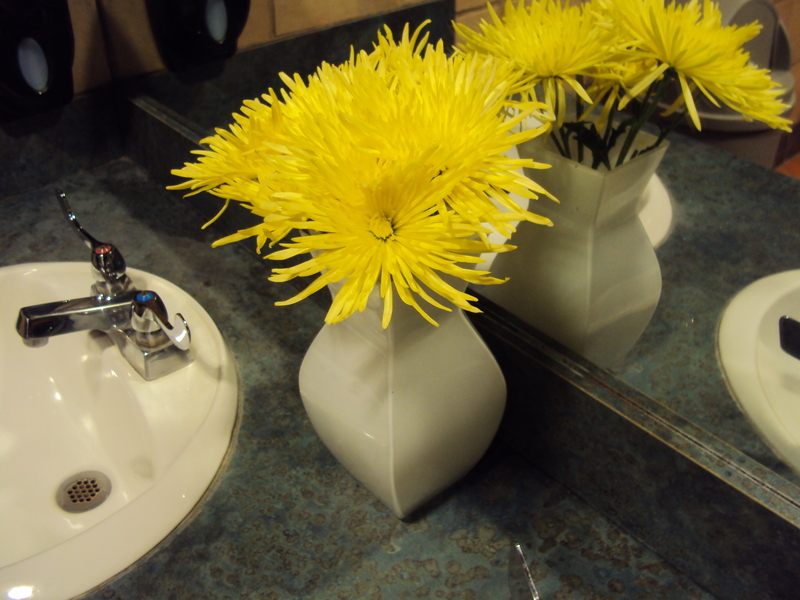 So I wasn’t really surprised when I walked into the bathroom of a pizza place and found that the vase of flowers they pay me to keep in there was gone. I swap the flowers out once a week. Sometimes, customers steal the flowers, but they usually, but not always, leave the vase. 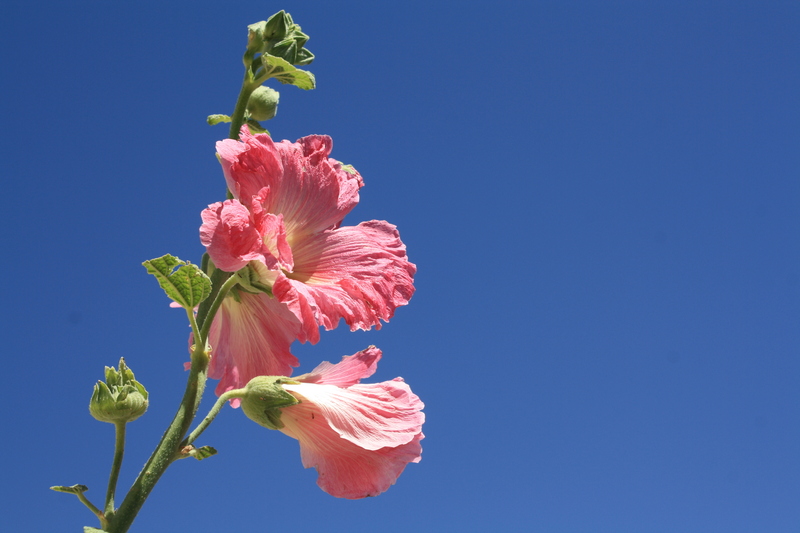 Once, someone stole Gladiolas – you know, those huge flowers that stand about four feet tall? How they managed to get them out of the restaurant with no one seeing is beyond me. It’s fine that the flowers are gone, I have new ones to install. But my question now is, where’s the vase? 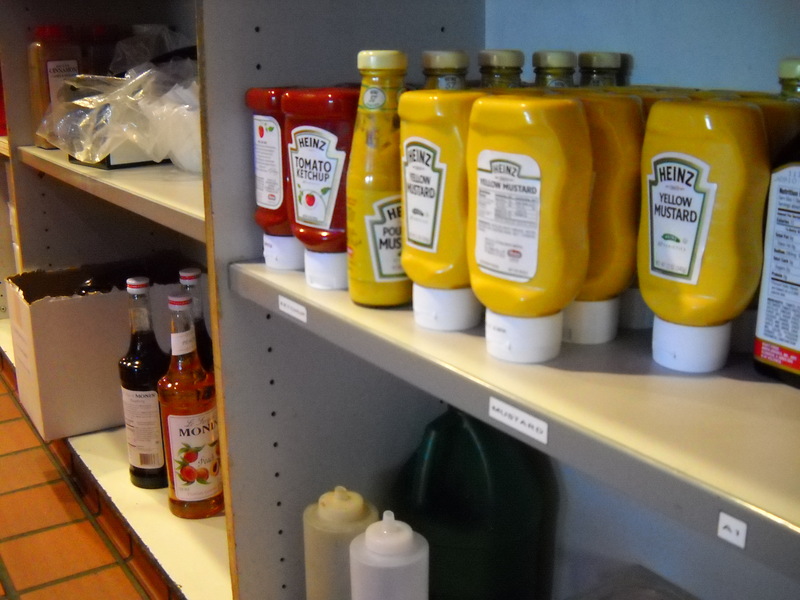 Sometimes the cleaning crew stashes it under the sink. But it’s not there. 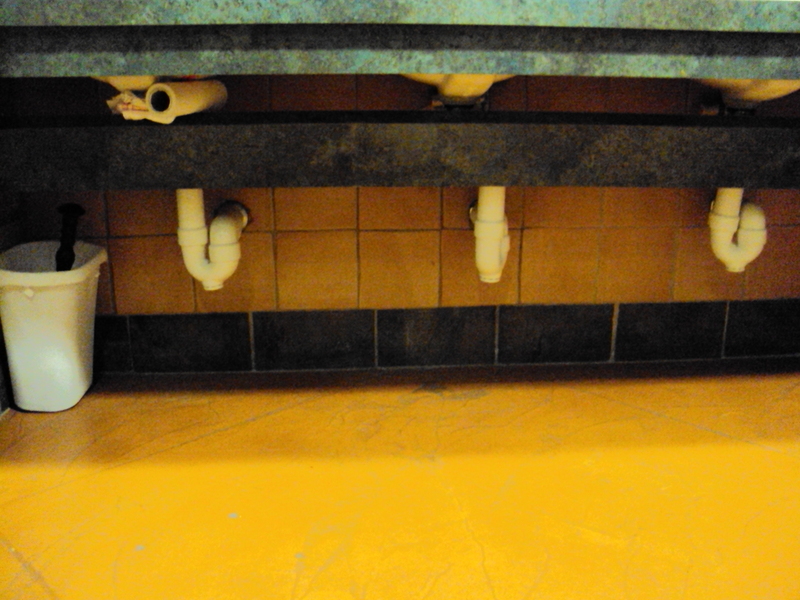 Maybe it’s out in the main part of the restaurant. In the past, I’ve found the vase on random shelves. I think the servers put it there. Nope, not there either. At this point, I’m wondering if maybe a customer took the flowers AND the vase. That would be a bummer. 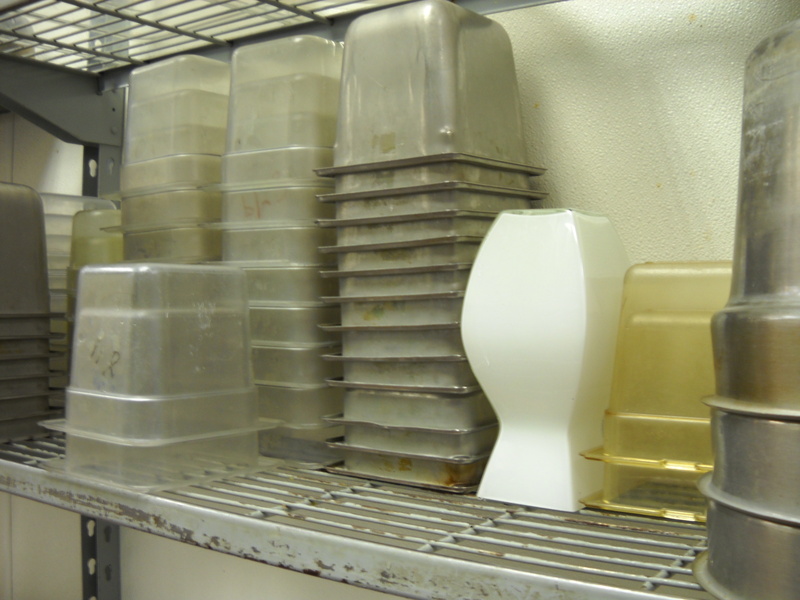 Before I give up, though, I have to check the dishwashing station. It’s a long-shot, but maybe the cleaning crew saw that the flowers were dead and sent the vase to get washed. It’d be a first. Fabulous. The vase is found, and clean, and I can get back to work. 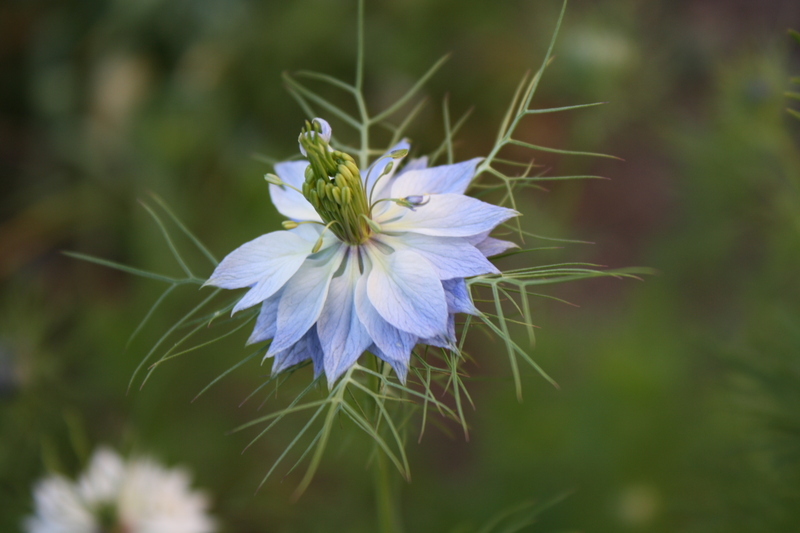 I have some pretty Spider flowers. It turned out that Maria, who cleans the bathrooms, had indeed noticed that the flowers were wilted, so she did me a favor and threw them out (knowing I would be in later that morning to replace them). She then gave the vase to the dishwasher so it would be clean for me. Happy ending. I have a few points in bringing you along on this mystery. One, it’s a short week and it’s sorta fun. 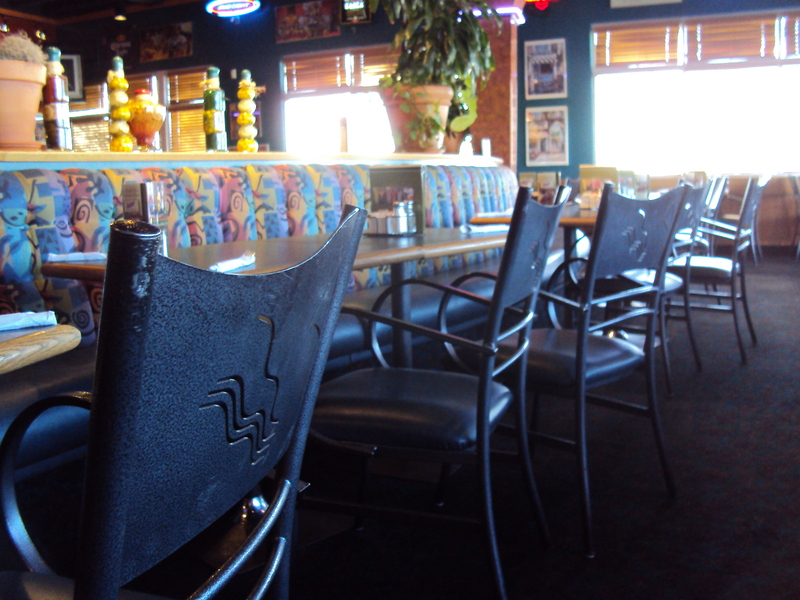 Plus, I like to poke around restaurants when there are no customers there. 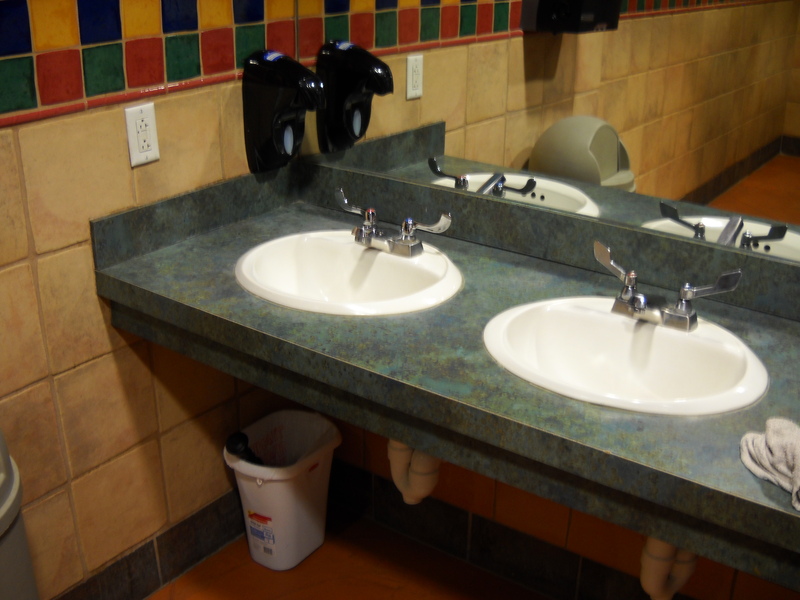 This one, Boston’s Pizza, is always clean and they’ve been really good clients of mine over the years. But mainly it’s to say that if you’re not the caretaker of the plants or flowers, and you decide to take them, you’re messing with someone’s livelihood. If you’re a plant lover and you want to take a cutting without damaging the plant, I’m ok with that. But it’s not ok to steal a plant or flowers. And it’s not ok to break off an entire branch so you can start a plant of your own at home. The plant will probably survive, but it’s not cool. And I suspect that if plants could scream, they probably would at being harmed that way. They are living breathing creatures! With that in mind, here’s a special edition of Name That Plant Problem! 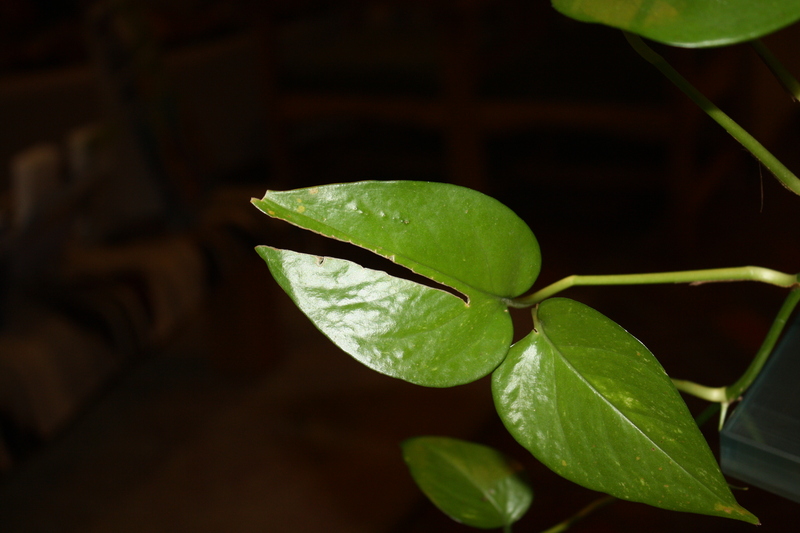 Can you guess what happened to this leaf? I’ll give you a hint. This plant used to be at a car dealership surrounded by bored used car salesmen. If you think you can tell what happened, leave your answer in the comment section. There are no prizes for guessing correctly, only glory and my gratitude for playing. Tomorrow is Thanksgiving. I’m thankful for anyone still reading after all this silliness. I’m also thankful to be with family and friends during this chilly November holiday. I hope you have a love-filled Thanksgiving as well! I will return with more posts on Monday. Happy Thanksgiving everyone! My sister has been posting adorable holiday gift ideas, and that’s gotten me in the spirit early. 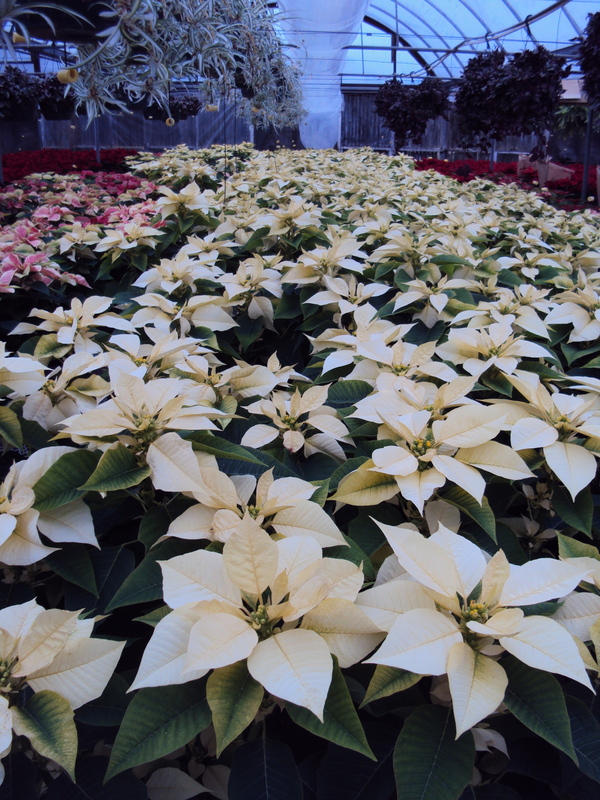 That, and the trip to the Poinsettia nursery last week. Last year, I gave out hand-painted pots with a flowering bulb in each, they came with instructions on how to water it and watch it grow, then what to do with the bulb when it was finished flowering. I used an assortment of Hyacinth bulbs, because I love their fragrance. They were cute and well-received, but a couple people told me theirs didn’t flower. Bummer. This year, I have a new idea. 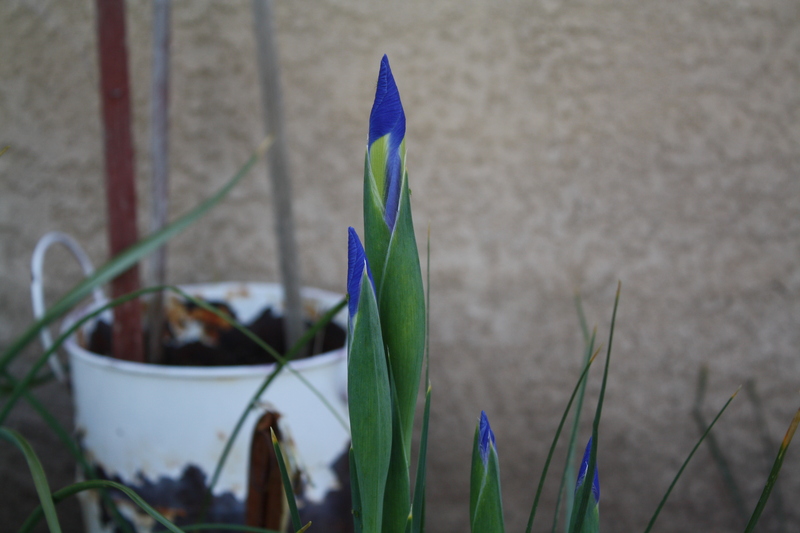 I’m going to start the bulbs today, so they’ll already be flowering when I hand them out as gifts. So it was off to the nursery, Osuna Nursery. Man, look at that November sky! It’s that color almost all the time here, I love it! 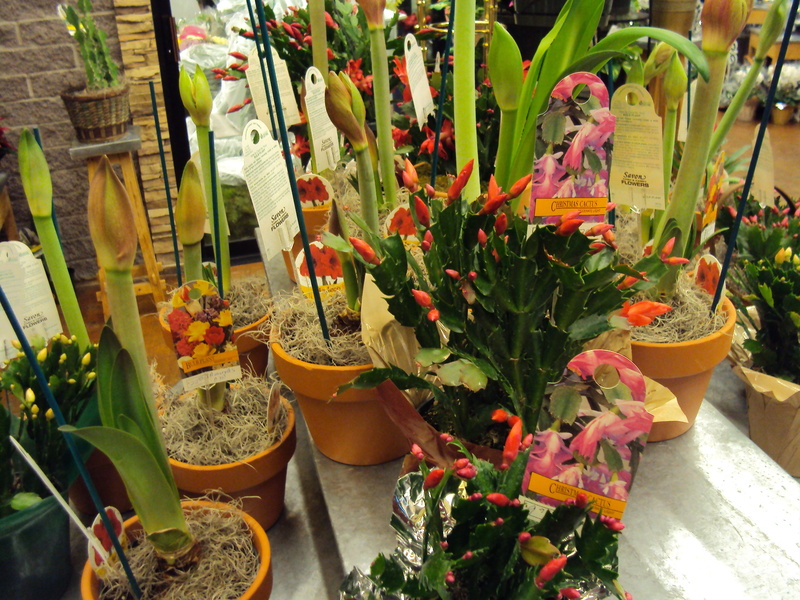 Osuna offers lots of beautiful bulbs. I was tempted by the Tulips. But I’m a big fan of smelly flowers, so I zeroed in on more Hyacinths, and also some Daffodils, since they were fairly cheap. I say fairly because I think all of their bulbs were expensive – two bucks each for the Hyacinths. Two bucks? Sheesh! I know Osuna is not the cheapest nursery in town, I do like their selection however. In future posts, I’ll scope out other nurseries around Albuquerque. The main reason I think flowering bulbs make such good holiday gifts is because it’s nice to have a bit of spring in your living room during winter. Hopefully it’ll be all snowy by the time these bulbs are blooming. 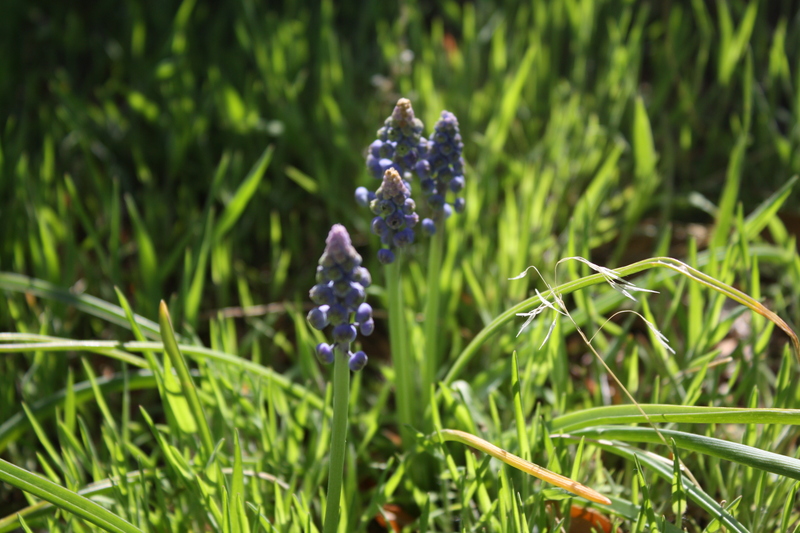 There were a few Hyacinths that already had shoots. I chose them. They seemed like overachievers, and I respect that. I’ve actually been thinking about the holidays before my sister started posting holiday gift ideas. A few weeks ago, I went to Goodwill and found some interesting looking glass vases. 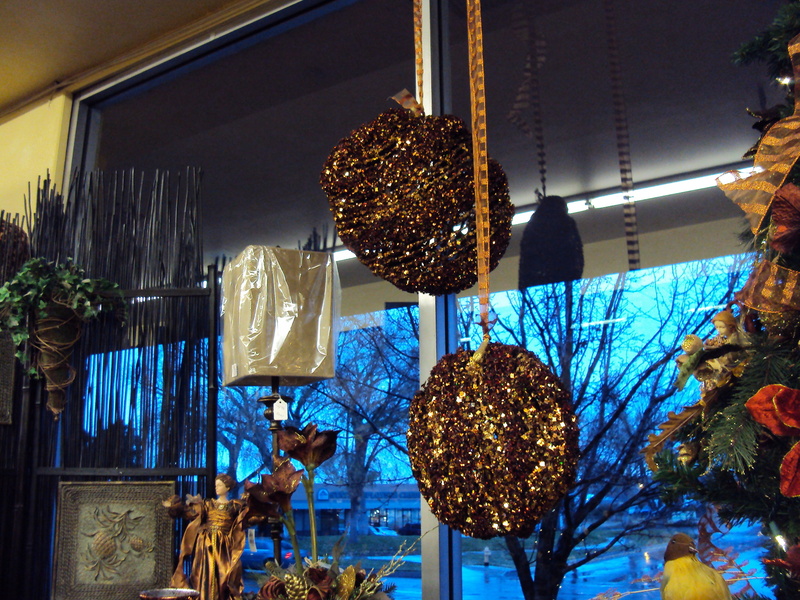 Then I went to the dollar store and got glass stones (the craft store sells them for $2.99 per bag!). I was ready to make gifts! Stupid easy. Poured the stones in the glasses, filled the glasses up with water, plopped a bulb on top. Took about 30 seconds. I can’t wait to seem them bloom! Over the next few weeks, I’ll just make sure to keep the water level up so the bulb can grow roots and send those shoots upward. Oh, and lots of sunshine. I love not messing with soil! 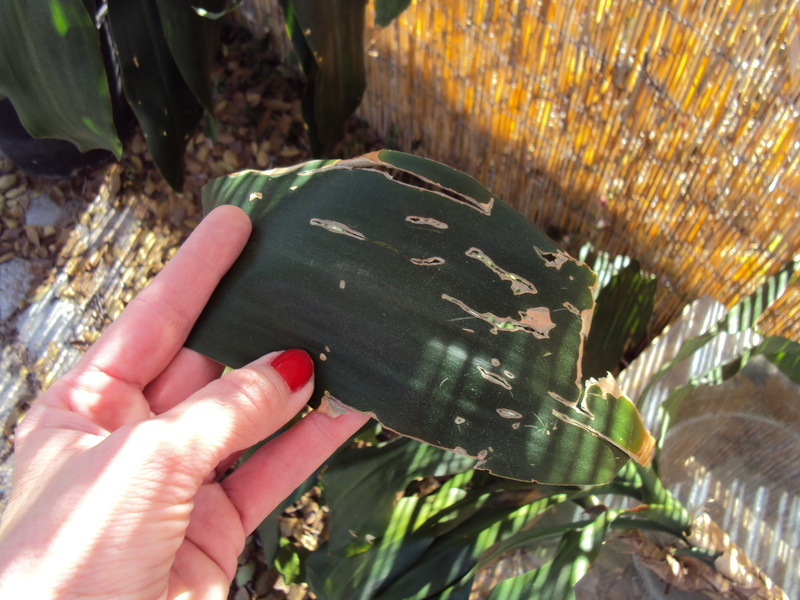 Neither houseplants nor bulbs depend on soil – if you don’t believe me, check out Martha’s blog and her website Water Roots. I’ll be on a search the next few days for containers for the Daffodil bulbs. That makes a whopping grand total of $3.59 for what is a nice, thoughtful handmade holiday gift. 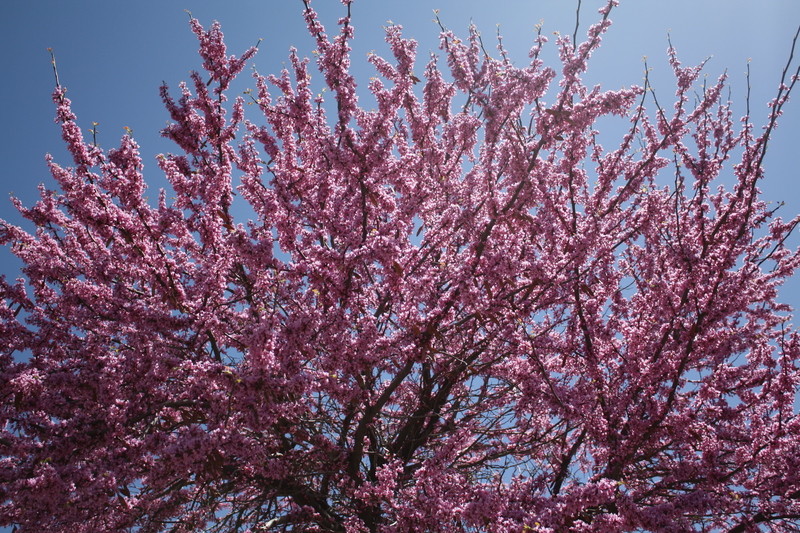 Who wouldn’t love a little bit of spring in the middle of winter? 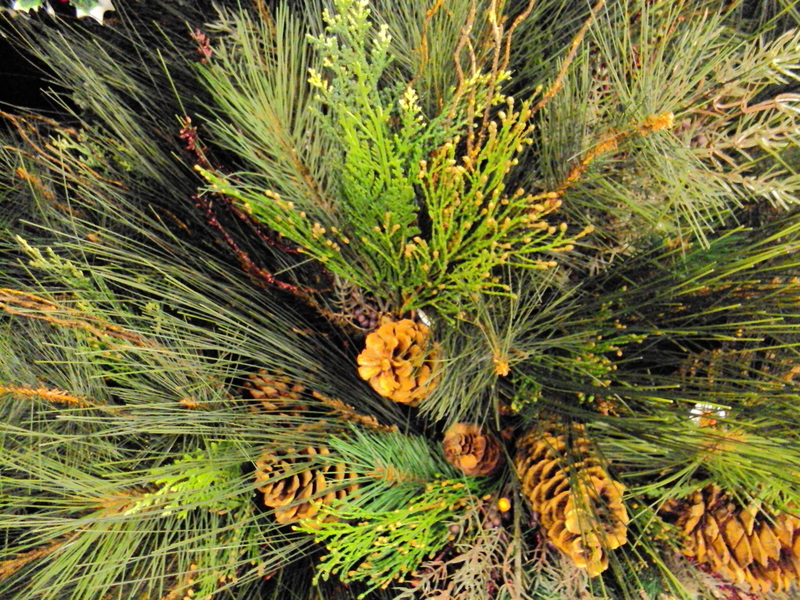 Do you have plans to use plants or bulbs as money-saving gifts this year?